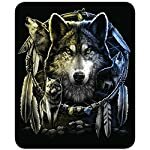 If you’re fascinated by wolves, you should check out our collection of wolf blankets which are available for sale at discount prices. 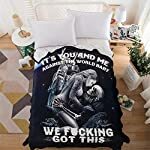 These products are made from 100% microfiber polyester and they are the softest microfleece blankets you can find in the market. 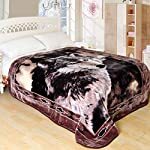 These wolf blankets are not your typical mink blanket and you can wash and dry them in a washing machine. 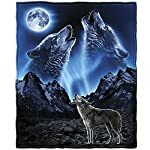 The above wolf throw blankets are soft, cozy, and lightweight and they are perfect for your bedroom or for cuddling in your living room watching television. 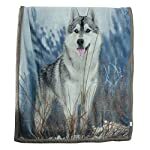 You can also use wolf blankets for an outdoor event or camping trip. 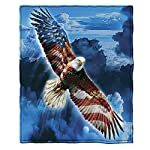 They are a wonderful gift for patients and you can even use them on an airline to keep you warm. 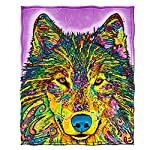 These blankets are striking and they feature colorful images of wolves in their natural habitat. 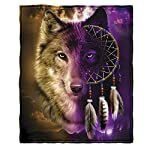 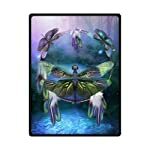 They come in different sizes and their beauty means that you can even use them as a wall hanging. 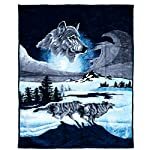 Look through our above options now and find beautiful wolf blankets for your home!